Yet again, a very true story. She stated it very matter-of-factly. I just rolled with it. I get that people think all milk comes from a cow, but there just isn't a word for milk alternatives. 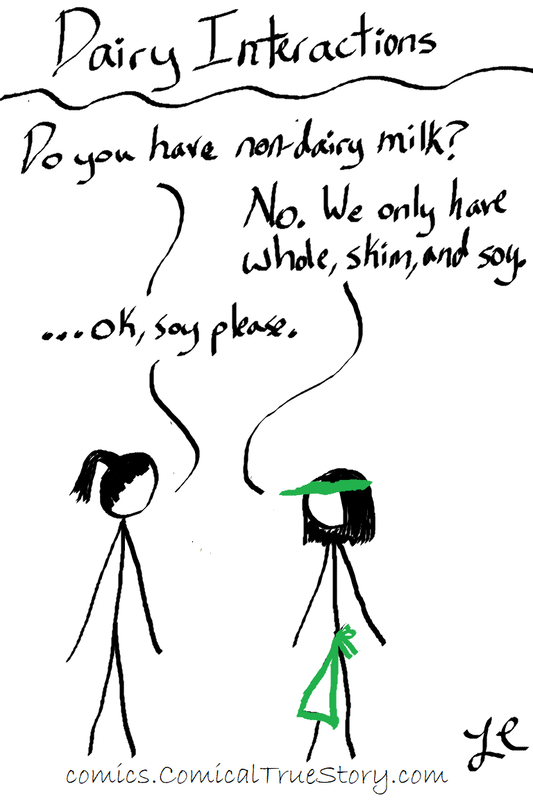 A: Do you have non-dairy milk? B: No. 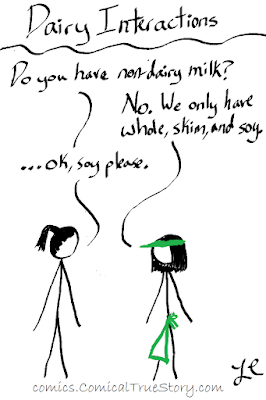 We only have whole, skim, and soy. A: ... Ok, soy please.